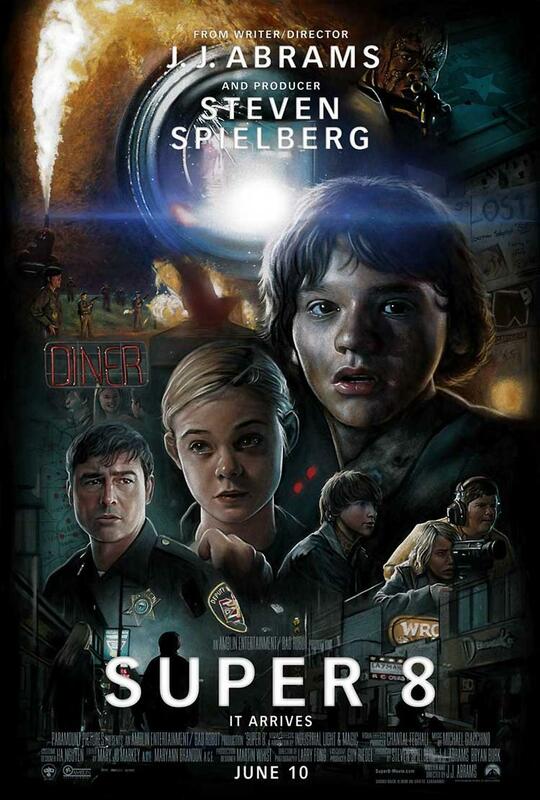 Super 8 is period pop Americana set in the heartland, sleepy little Lillian, Ohio in the summer of ’79. Still grieving the recent loss of his mother, monster makeup hobbyist Joe Lamb and his school friends are trying to complete a zombie movie in time to enter a film festival. While shooting a big scene at the deserted railway station outside town, an out of control car driven by a local science teacher purposely jumps the tracks, forcing a military transport to derail. Soon people and pets begin to disappear and electrical appliances go haywire. As an occupying army moves in and the town is evacuated, Joe realizes his super 8 camera captured something escaping the cargo hold that night that might help explain all the strange occurrences, if the air force doesn’t confiscate his footage in the interest of national security first.